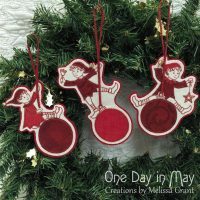 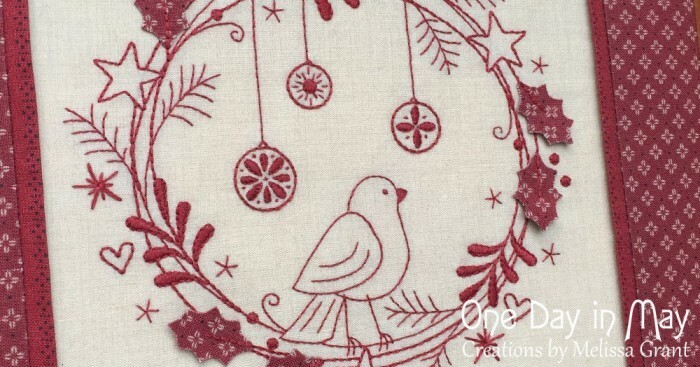 – A little bird sits in a wreath filled with all things Christmas. 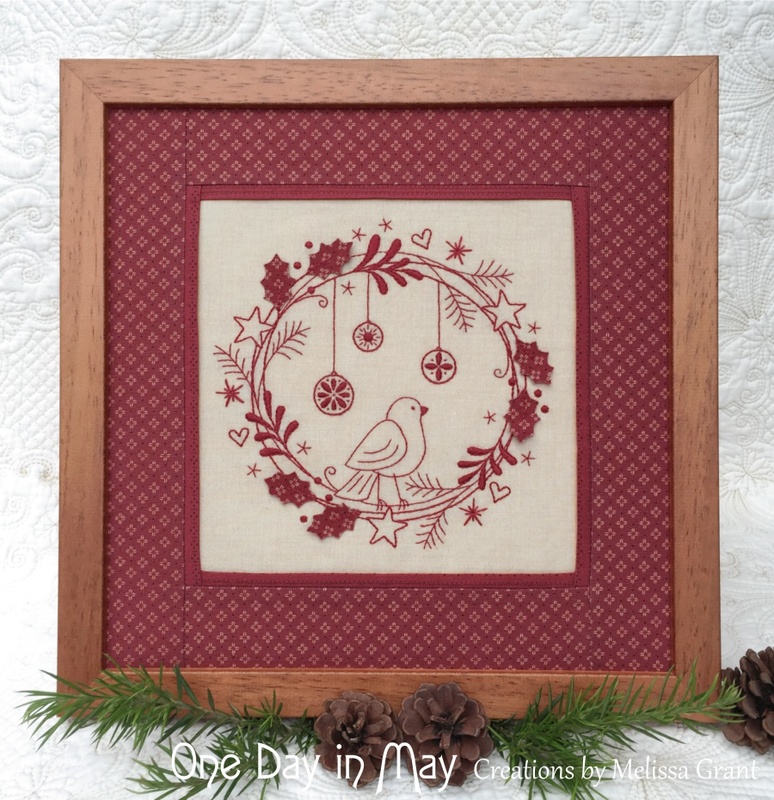 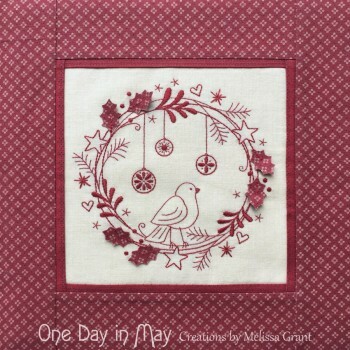 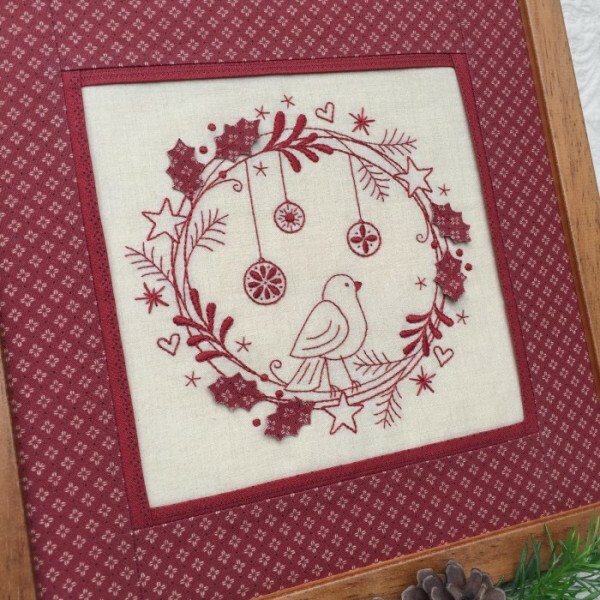 This redwork design is given extra depth and texture with the addition of dimensional holly leaves created with semi-detached applique. 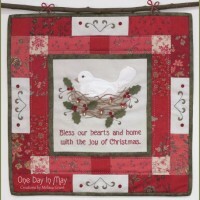 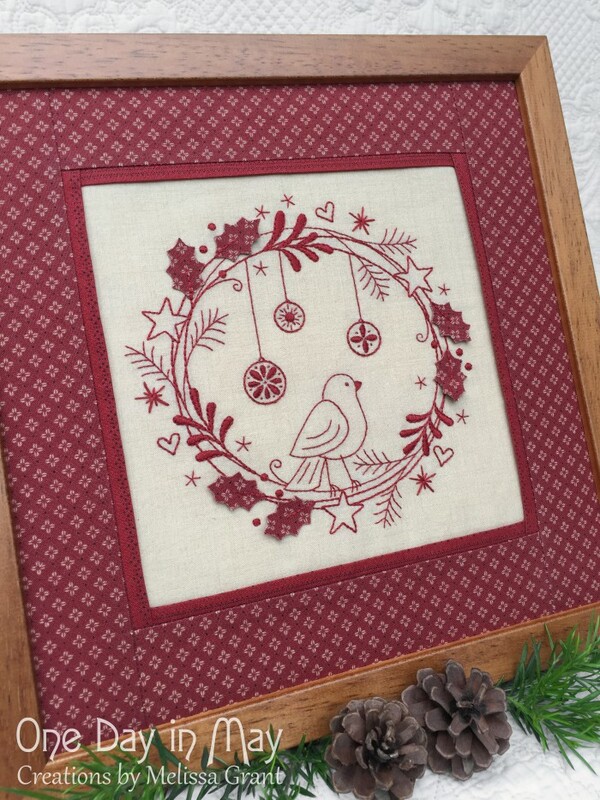 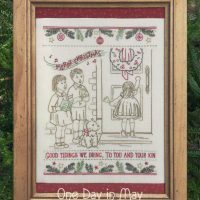 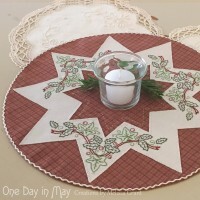 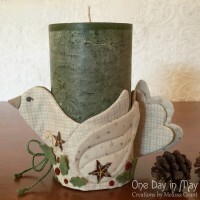 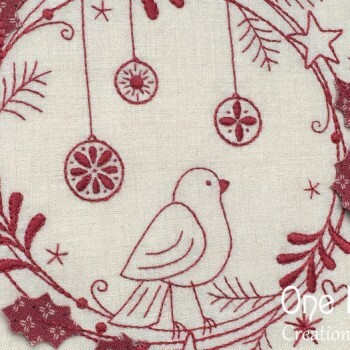 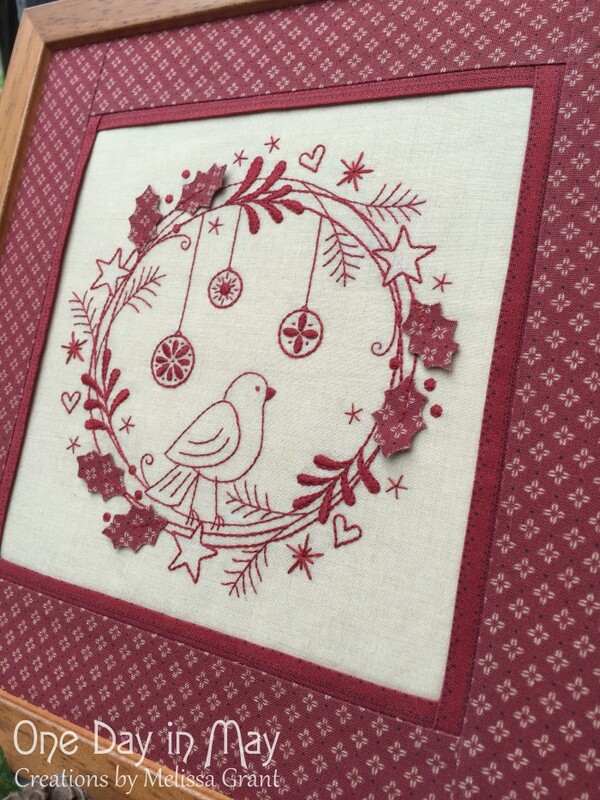 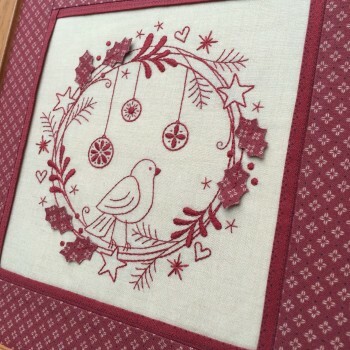 Peepers and a simple border complete this small Christmas project. 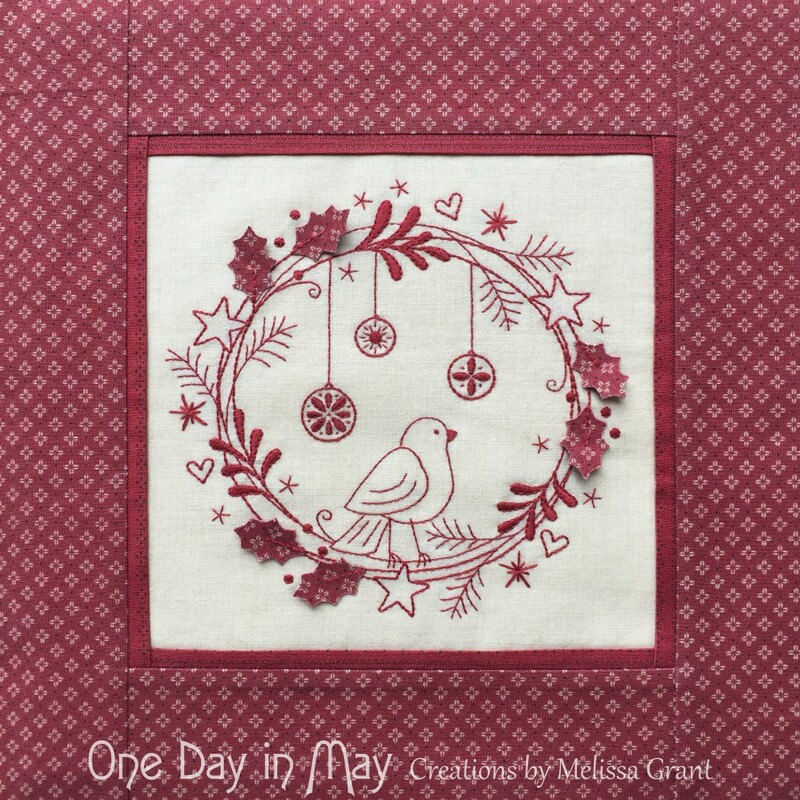 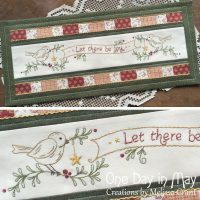 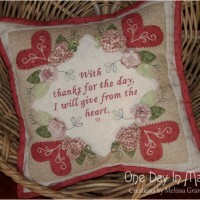 – Learn how to add a little dimension to your projects with semi-detached applique. 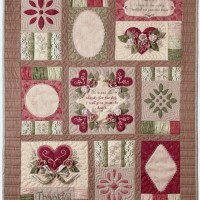 Double-sided fabric leaves are partly attached, allowing them to sit up from the background and cast a shadow. 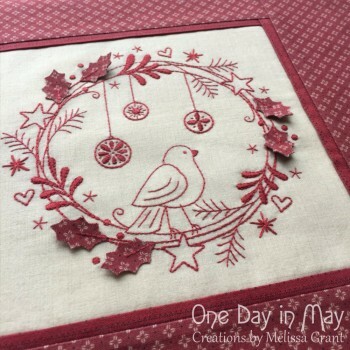 This simple technique adds a unique touch to any project.